Why do we always want to talk about the scary experiences we’ve had on our travels? I think that basically we’re all proud of having overcome confronting situations in foreign countries (I know I am!) and it’s these situations that have taught us more about ourselves and the world than many other aspects of travelling. That’s my theory, anyway, and that’s the motivation behind this episode of The Thoughtful Travel Podcast, called “Feel the Fear and Travel Anyway”. I’ve blogged before about basically being kind of terrified before every trip I take, and yet I still take them. I think a lot of you do, too. It’s all about getting beyond that comfort zone and seeing what’s out there in the big wide world. And that’s what this episode’s three lovely guests are talking about – enjoy! 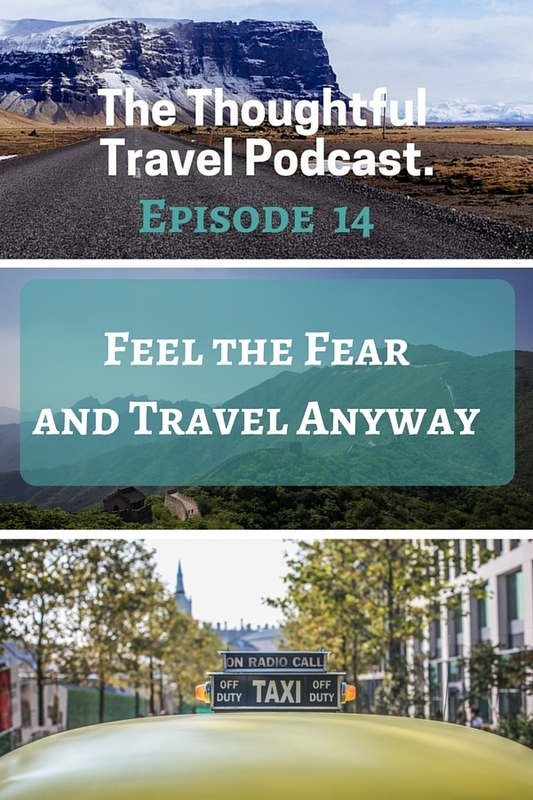 In Episode 14 I return to the topic of scary tales from our travels, and I think that frightening experiences both entertain and teach us so much that most travels just feel the fear and travel anyway. The three guests in this episode certainly do. Annalicia Lynn is a yoga and pilates instructor who taught English in Taiwan for a year and had some really interesting experiences there – including quite a few frightening ones, but they didn’t put her off! Likewise, Glenn Shiell spent some time in China for a conference and ending up having quite a scary experience at the Great Wall, but he lived to tell the tale and I’m sure he would go again. Finally, Diane Bortoletto returns with a fearful moment from a trip to Brazil when she became separated from her travelling companion and ended up in a taxi ride through the jungle. But like all my guests, she lived to tell the tale. Phew! Thanks Sally – and yes, solo travel definitely tends to lend itself to a bit more anxiety for me too – but more satisfaction and achievement, too!